Switzerland is arguably one of the most beautiful countries in the world to visit. It’s largely undeveloped and the places that are developed feature charming historic architecture. From farmland to the jagged peaks of the Alps, Switzerland is a geographically diverse country and one of the biggest challenges of visiting this country is deciding on where you’ll go. Zurich is the country’s largest city and if you want a taste of the more cosmopolitan offerings of the country, start here. 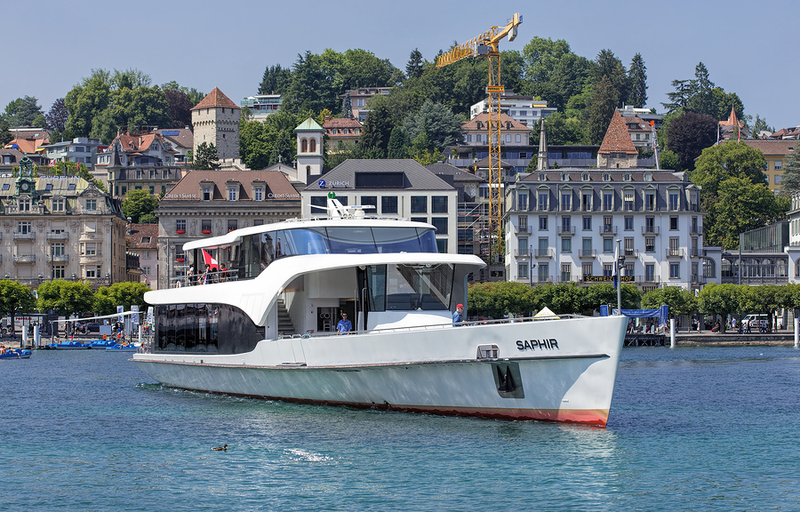 Zurich is set on the pristine shores of Lake Zurich and while you’ll find yourself wondering along cobblestone streets and in-between narrow alleys with architecture dating back to the 12th century, you’ll also find lots of modern shopping and dining options as well as an array of museums and galleries. 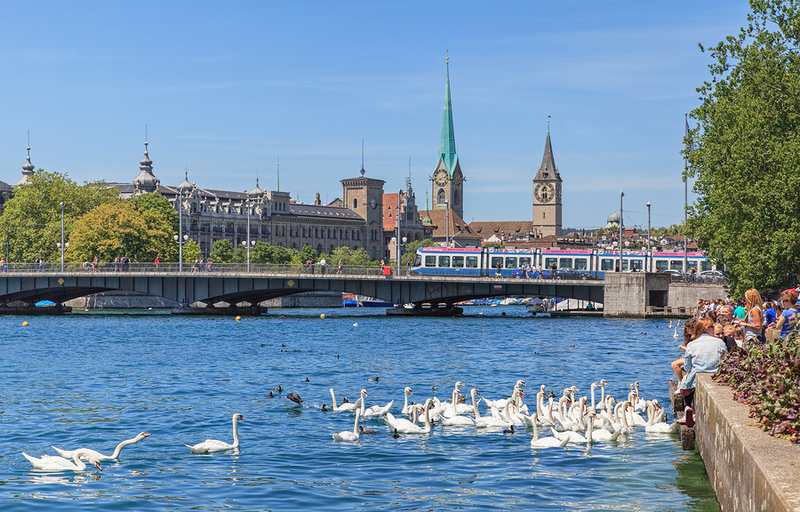 Zurich is incredibly clean and well-maintained, particularly for such a bustling city and you can easily move from lounging along the shores of the lake to shopping around Bahnhofstrasse. Similarly to Zurich, Lucerne is located in the German speaking portion of Switzerland, and it’s actually just a short train ride from Zurich, making it a great day trip spot if you’re visiting the city. Lucerne is known for the Chapel Bridge and Water Tower, constructed in the 14th century. Lucerne is a charmingly beautiful waterside city and while there are some opportunities for shopping and dining as well as visiting the occasional pub, it’s really all about the scenery. This popular tourist spot features a diverse selection of visitors. You’ll find backpackers and hostel-dwellers mixing with wealthy world travelers. 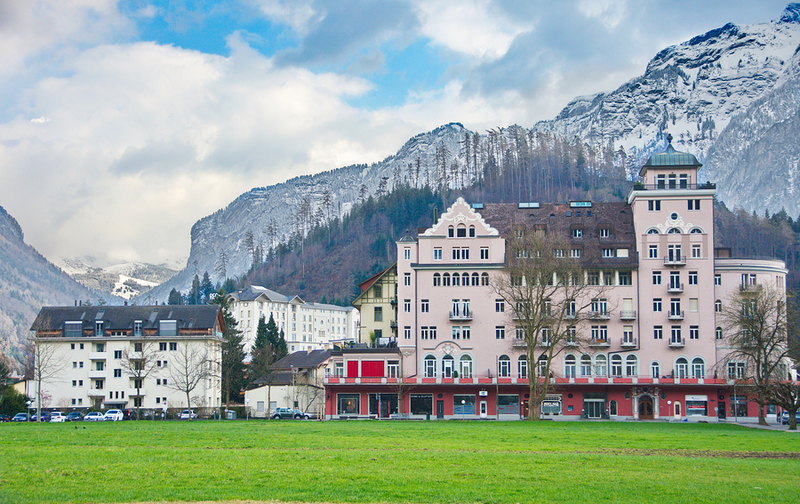 Interlaken has long been known as a tourist destination with beautiful hotels and spas and from the city you can take in views of three iconic Swiss mountains—the Eiger, the Jungfrau and the Monch. Interlaken is also a great spot if you like outdoor activities, since it serves as a base for everything from guided tours to popular hiking areas. Geneva is a city perhaps best known for its international community. 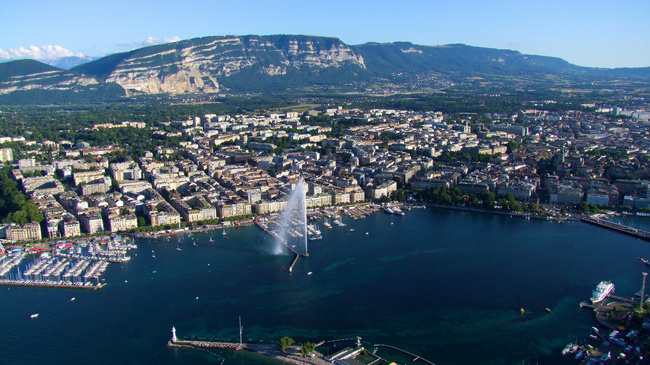 Serving as home to the United Nations and located in the French-speaking area of the country, Geneva is located on Lake Geneva and there are an abundance of parks and outdoor public areas to enjoy. It’s also a very eco-conscious city, dedicated to becoming greener and you can site see the governmental and international buildings that popular Geneva or do something like hiking, biking or boating. This Italian-speaking city is located in the southern portion of Switzerland and it’s truly unique from the rest of the country. Here you’ll find plenty of Mediterranean inspiration with a moderate climate that actually gets pretty hot in the summer. 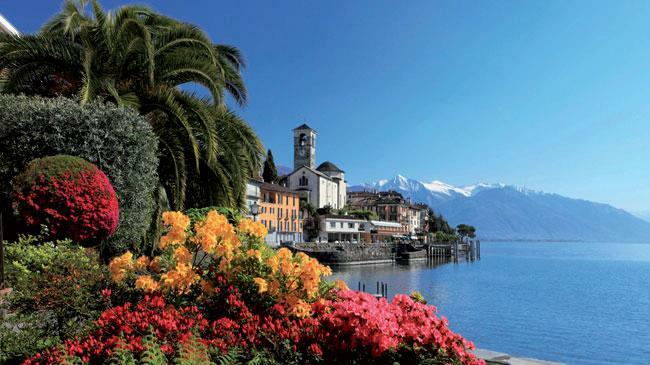 You’ll find lots of traditional Italian-style plazas and architecture flanked by palm trees, and despite the warm climate you still get the Alps scenery that’s so important in Switzerland. These are just a few of the many beautiful and diverse places to visit in Switzerland, one of Europe’s travel gems.